A great idea was born by Robb Lucy when he and his father, a veteran of WWII and avid golfer visited the beaches of Normandy: to go and play the game they loved on these hallowed grounds. Robb promoted the idea of combining golf and history and with the right assistance and enthusiastic support of a great Alberta Golf Course, Glencoe Golf and Country Club – the dream is about to become reality in September 2018. A great opportunity awaits those who want to learn about Canadian History in WWI and WWII and tee off on some special courses. There are around 40 courses in the region offering a variety of different styles of golf course design from links seaside golf to lush parkland layouts winding through dense forests. The region is steeped in history and is particularly relevant today for the role it played in both World Wars. Along the coast line you can still see remnants of the German defences from World War 2 whilst playing some great links golf. Omaha Beach Golf Club actually overlooks the D-Day landing beach and is the very close to the poignant American Cemetery. You can see the artificial harbour and the Longues sur Mer gun battery. Both of the 18 hole courses there offer a contrast and a good sampler of what is available in the region as some of the holes offer stunning seaside views whilst others provide an interesting parkland setting. 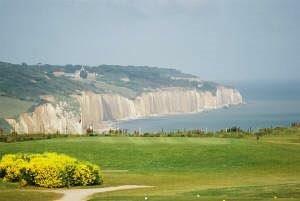 In Dieppe we will be teeing of high above the beaches where the ill-fated raid by Canadians took place on August 19, 1942. 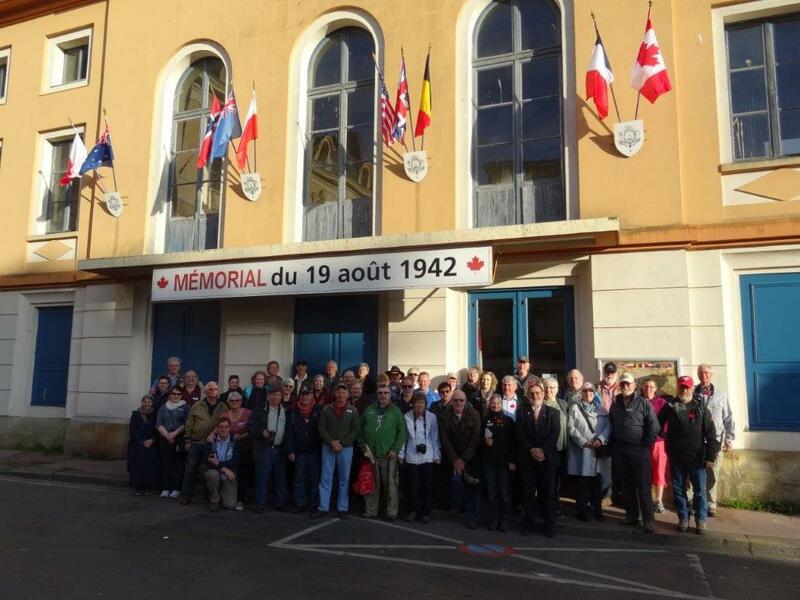 Visit the beaches of Purville and Le Puys as well as the former theatre, now being used as a special museum ( through the efforts of the Jubilee association ) commemorating the Canadians’ raid. 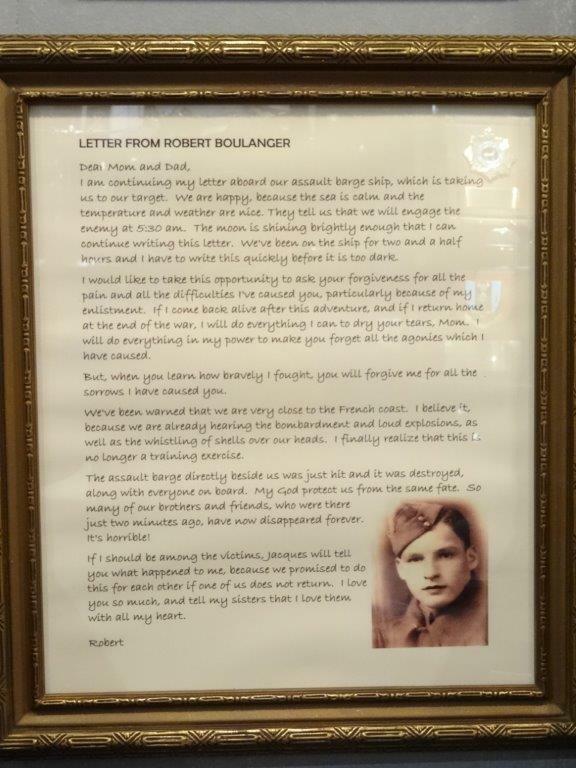 The grim fate of many a young Canadian will be brought close to us during that visit – like the letter written by young Robert Boulanger ( translated from French to English and on display at the museum ), whose wish to return home did not come true. But do also enjoy the harbor atmosphere of the seaside town, towered over by an old fortress. The above courses and some others in Amiens, Caen and Ypres will be seeing some friendly competition by travelers who want experience Normandy different than a regular tourist. Golf in France will receive even more publicity in 2018 as the Ryder Cup will be contested outside of the capital – Paris, at Le Golf National Albatros course in September of that year.